Another year just passed and, as usual, we witnessed countless brands trying so hard to standout with their promises of luxury, exclusivity, quality, uniqueness and whatnot. Hundreds (if not directly thousands) of new launches, re-issues, re-launches. New brands, new perfumes, new formulae but, in the end, for the most part, the same old stories. In this more and more crowded playground, we've all tried to navigate in what has become an impossible to catch-up with scenario. We've tried to find our own standouts and our new favorites in a sea for the majority populated by forgettable juices presented in fancy boxes / flacons. Don't get me wrong, there have been several remarkable new fragrances this year but the *number of launches / good quality* ratio is getting lower and lower. Too much of everything. Too much. With that said, I still liked something like 40 (maybe 50) new fragrances. 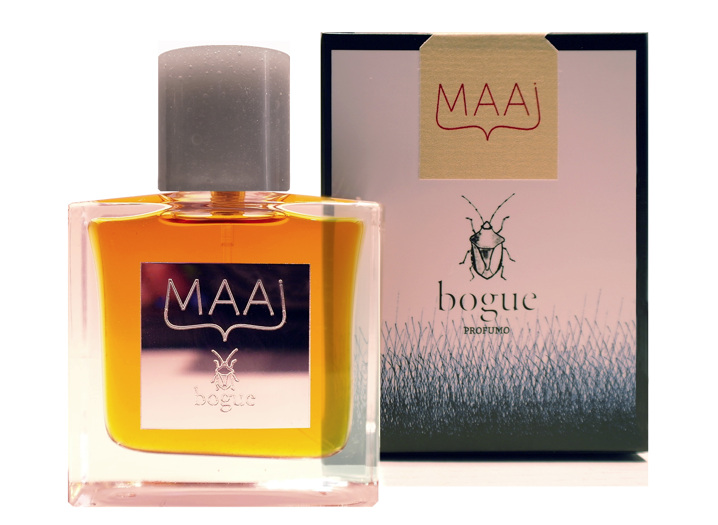 Bogue Profumo's Maai is definitely one of them. A grand animalic / floral chypre by one of the most interesting new perfumers currently on the market. Old-school, uncompromising and stunningly beautiful. Vero Profumo never disappoints and the new Rozy Voile D'Extrait gains a full mention amongst *the best of the best*. My third pick is for Masque Fragranze and their Russian Tea. A tremendous example that in order to make something remarkable, you don't necessarily need to deliver something weird or over the top. Wearable, easy to like, versatile and completely satisfying. For those who are not necessarily interested in novelty and are fine with something simply solid, Cuir Cannage by Dior delivered yet another take on classic leathers a-la Chanel's Cuir De Russie. Amouage presented their tribute to classic masculine perfumery with Journey Man. Cartier launched La Panthere, a sort of nu-chypre with a nice floral presence and what's possibly the best packaging amongst designers' offerings. Comme Des Garcons introduced Wonderoud and with it, yet another micro-variation on synth-oud. Not exactly exciting but so easy to wear and like. Serge Lutens - L'Orpheline. This didn't grab me at first but kind of won me over with time. S-Perfume - Musk-S. Sacre Nobi re-packaged and re-launched his infamous brand (responsible of gems such as S-Ex) together with four new fragrances of which Musk-S seemed to be the more interesting in its iteration of the *invisible-musk*. Narciso Rodriguez - Narciso. Still one of the very few designer brands worth of attention. Dior - Dior Homme Parfum. Basically an improvement on Dior Homme Intense. In 2014 we've also witnessed a bunch of re-introductions / re-launches amongst which the most interesting from my point of view were Helmut Lang's entire range (finally!!! ), the new version of Pascal Morabito's Or Black and the Le Galion line. I've also discovered some (new to me) fragrances / lines I had previously left behind that gave me quite some satisfaction. Rancè and their L'Aigle De la Victoire has been a stunner for me. A skanky / animalic leather / oud combo with so much courage a no restraint. Resist Me by Liaisons De Parfums gained a special spot up there together with smoky-pillars such as Bois D'Ascese. Finally, the whole Abdul Samad Al Qurashi line. An immense range of arabic oils I suggest to not miss out for anyone into eastern perfumery or to those who simply want to discover a whole new world of fragrances..
That's all for this year, folks…catch you out there and have good holidays everyone.